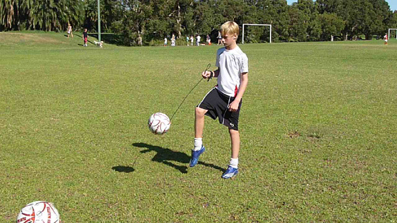 The soccer skills training football included in our soccer training equipment, has been designed for players to master the different skills a player needs to play soccer. 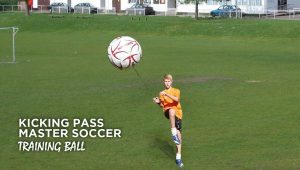 For young players this training ball will help YOU develop YOUR hand/eye coordination, Confidence and Sensory Coordination Skills, such as Kicking, Passing, Throwing in and dribbling. 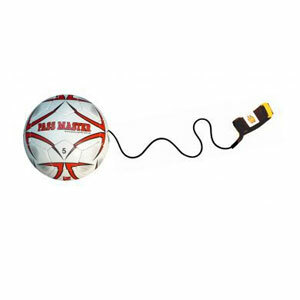 The Bungee Cord that is attached to the ball measures 1.5m and will stretch to 5m. 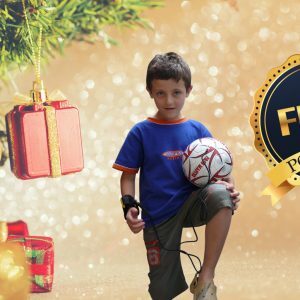 Ball comes with the bungee cord attached and comfortable wrist band. 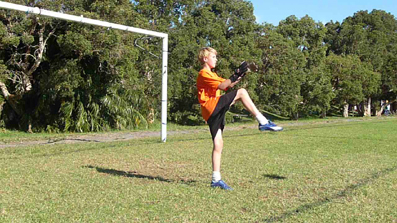 Practice Kicking for Goal, Passing, all Goal Keeping Skills and much more. 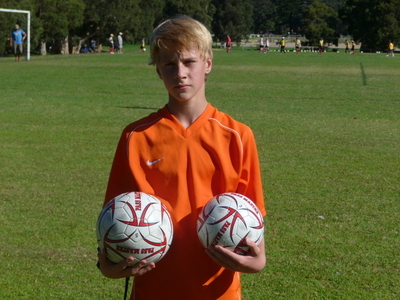 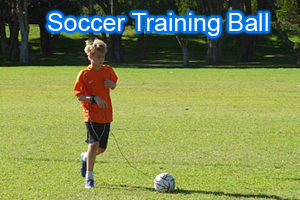 If you player Soccer… this Soccer Training Football, is a MUST have. 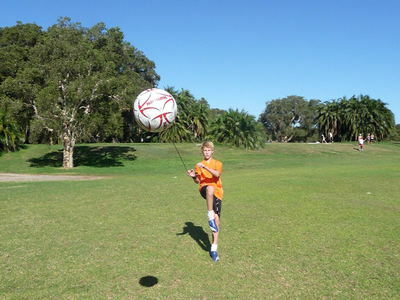 If your a soccer goalie … This football will become your Best Friend. 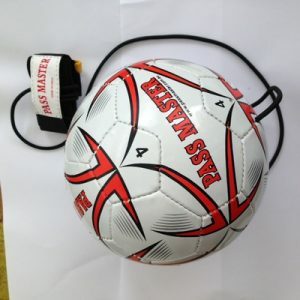 High quality hand stitched ball, made of 3 ply, 2.5mm cushioned PVC synthetic leather ball with Butyl Bladder for longer air retention. 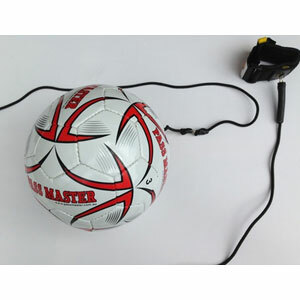 Attached to the soccer ball is a length of durable high quality bungee cord and a metal swivel is fitted between the comfortable wrist strap and bungee cord. 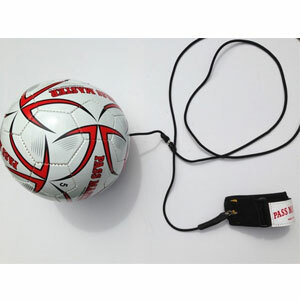 This will stop any twisting of the cord.